In recent years, the aviation finance industry has experienced high-growth to meet the needs of burgeoning aircraft demand globally. In the UAE, the aviation industry has been and will continue to be a significant contributor to its economic development, as the nation aims to achieve a sustainable and fully diversified economy. As the fleet size of UAE based airlines expand, investments in aircraft finance assets in the UAE are expected to increase. Given the asset-based nature of aircraft finance transactions, the recognition and validity of security interests over aircraft has historically been a key consideration for financiers. In view of the cross-border nature of the operation of aircraft, it is a common market practice for financiers to take either an English law or a New York law mortgage over aircrafts, owing to the long developed history of jurisprudence in both jurisdictions. Nevertheless, the laws of the state of registration of the aircraft is of significant importance in the context of lex-situs issues. In this article, we set out a high-level summary on the effectiveness of aircraft mortgages in the UAE. The General Civil Aviation Authority (‘GCAA’) is the responsible aviation authority for the registration of aircrafts in the UAE. The UAE has ratified the Convention on International Interests in Mobile Equipment in 2001 and the Protocol to the Cape Town Convention on International Interests in Mobile Equipment 2001 (together the ‘Convention’) on 1 August 2009. Pursuant to the Civil Aviation Regulations, Part V Registration of Civil Aircraft (‘Regulations’), international interests as set out under the Convention are thus recognised in the UAE. The GCAA maintains a national aircraft register in accordance with Article 28(2) of the UAE Civil Aviation Law (Federal Law No. 20 of 1991), which provides that an aircraft is to be registered according to the conditions and procedures provided therein (‘Aircraft Register’). The GCAA does not maintain a separate registry for security interests over aircraft; however, the GCAA permits the registration of mortgages governed by foreign law under the Aircraft Register and the notation of the name of the mortgagee on the certificate of registration issued by it in respect of an aircraft. While it is not a condition to the validity or the enforceability of an aircraft mortgage that it be filed or recorded by the GCAA under UAE Law, such a filling will normally constitute a protection of the mortgagee against the owner’s attempt to sell or deregister the aircraft without obtaining the mortgagee’s prior written consent. In addition to the registration of a mortgagewith the GCAA, the Regulations allows cise of such remedy must be effected in accordance with provisions of the Regulations and the Convention. UAE law has made several declarations under the Convention at the time of its accession and, as a result, any remedies under the Convention that do not require a court judgment may not be recognised by UAE courts. Accordingly, a claimant that requires the repossession of an aircraft may file a court application for an attachment. Such proceedings are generally referred to as ‘retrieval proceedings’, as further described in the below paragraph. In the event of a dispute over the right to possession of an aircraft or where the mortgagee by reason of claims against mortgagor disputes the entitlement of the mortgagor to retain the aircraft and thereby seeks to remove or export the aircraft from the UAE, then the mortgagee may pursue attachment of the aircraft by court proceedings in the local UAE court where the aircraft is located followed by substantive legal proceedings on the actual subject matter (e.g. non-payment of lease rental or loan repayments). UAE law recognises the principle of freedom of contract, which theoretically also extends to choice of law provisions. In practice, however, UAE courts are reluctant to recognise the choice of a foreign law as the governing law of an agreement on grounds of public policy and tend to apply UAE law to foreign law mortgages when they are the subject matter of UAE court proceedings. Although a foreign law mortgage may be upheld as a valid mortgage in the UAE, it must be borne in mind that the mortgage normally will be interpreted through the perspective of local UAE laws. This should not result in an interpretation vastly different to that in any other jurisdiction. 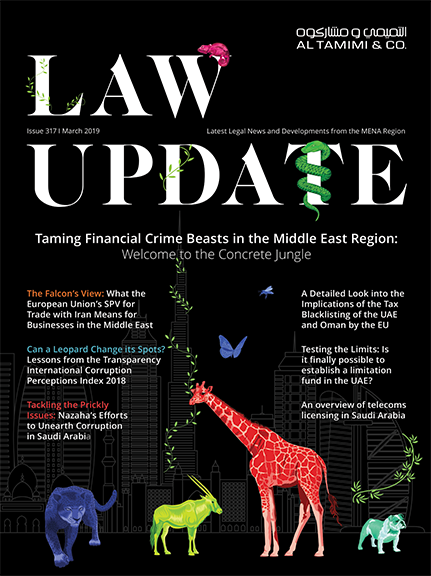 However, it is imperative to ensure that the key UAE legal requirements concerning security interests over moveable assets are satisfied, which would offer great weightage in contentious proceedings. Registration of the mortgage as an international interest under the Convention. As a procedural point, it is also worth noting that all documentation brought before the UAE courts in respect of any matter to be heard by them must be in the Arabic language. In the case of documentation, which is originally in a language other than Arabic, the certified Arabic translation submitted to the UAE courts will be deemed to be the definitive and binding version for the purposes of all proceedings before the UAE courts. Notwithstanding that mortgagees are unable to rely on any self-help remedies provided under the Convention for the purposes aircraft repossession in the UAE, mortgagee can take comfort that a default under a mortgage can form the basis for an attachment order and the ultimate repossession of the aircraft before the UAE courts. While retrieval proceedings in aircraft repossessions have only been tested in a single case before the UAE courts, it is probable that the UAE courts would generally respect and give effect to the provisions of the Convention as applied by the Regulations, to the extent that it is not inconsistent with UAE laws or contrary to public policy.